The video understanding AI is available as a cloud-based video recognition API that can effectively highlight and interpret concepts from any video stream. 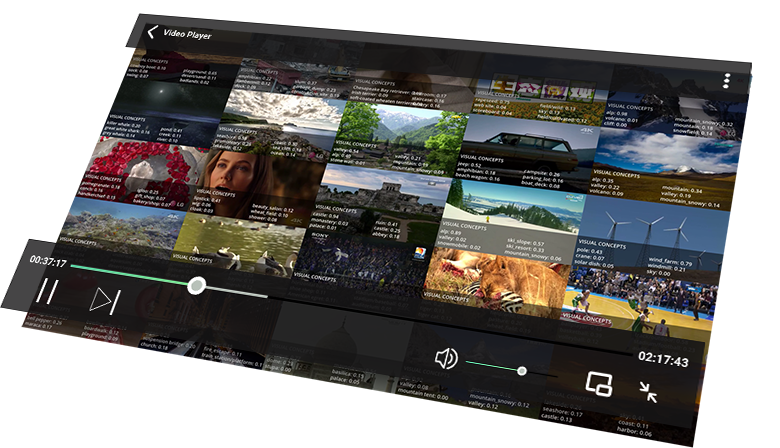 It creates scene level, time-coded metadata, providing all the needed content data through a single ingest point. 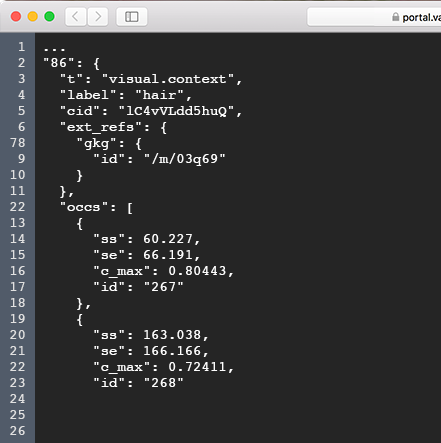 See a visual overview of what the AI has detected from the content. Examine the details and find what’s relevant in your videos. 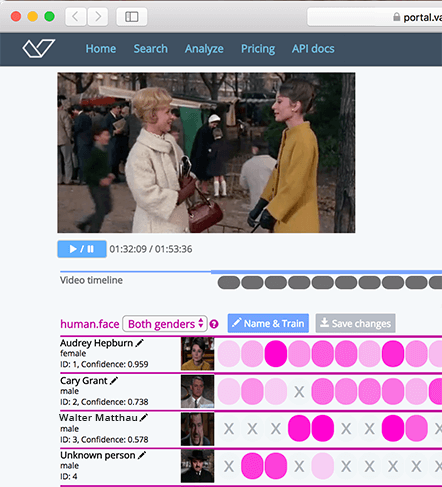 Valossa AI goes through your video files and indexes every recognized person, object, scene and audio sound. 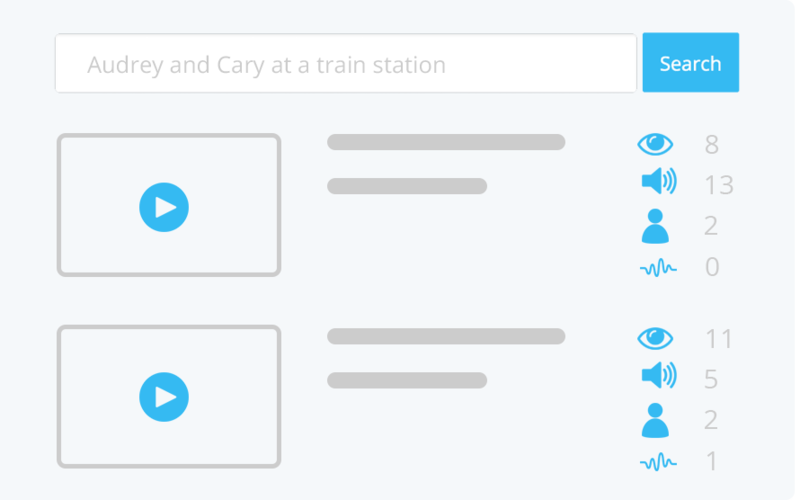 Search and find everything inside your videos using natural language queries. 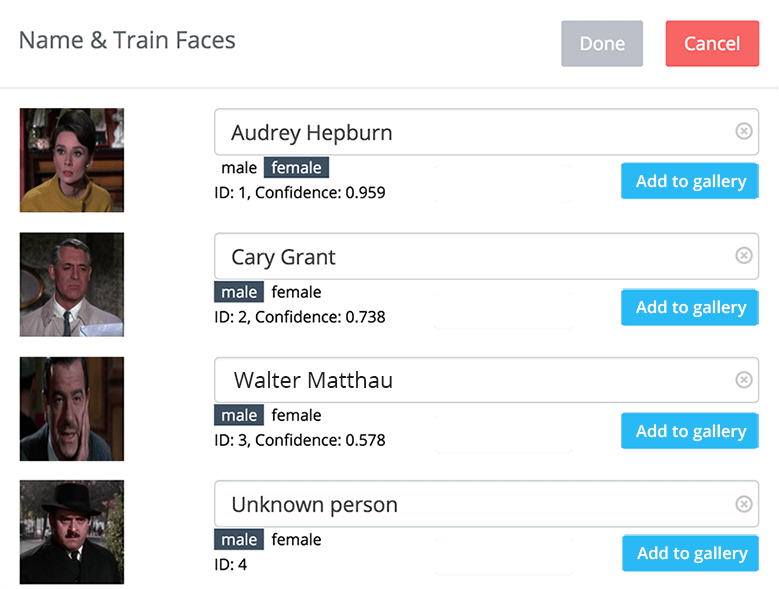 Give feedback to the AI and train customized face libraries quickly and easily. 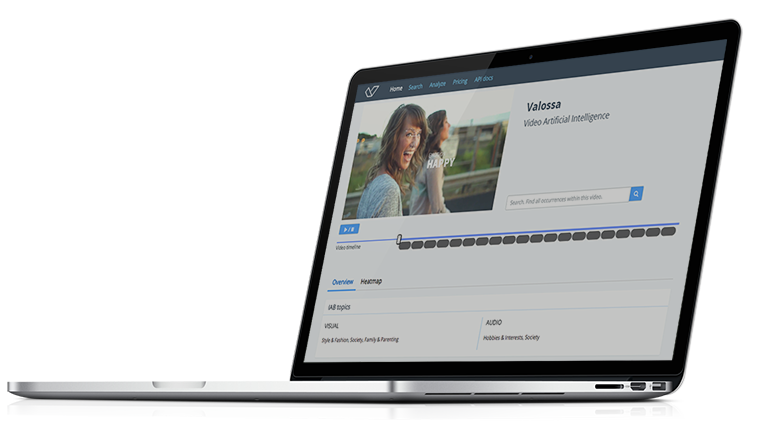 Valossa provides custom model training for specific audiovisual tags. Ask quotes for new video categories, face identities, facial expressions, and audiovisual concepts. Interested in live recognition of people, demographic information, and visual concepts from video streams? Contact us for a demonstration. Get support for integration and on-premise deployment. Ask us for more information regarding customized recognition capabilities, video insight tools and languages. Ready to take video analysis to the next level?